Sirens is the highly anticipated second full-length LP from Nicholas Jaar, the Chilean-born electronic music producer, mixing engineer and DJ. It follows the launch of The Network, an ambitious new online music installation featuring 111 different radio stations, produced and programmed by Jaar. A prolific artist with a wide palette of talents, Jaar spent his teenage years in dance music circles in New York City, where he now resides. In 2011, he released his debut album, the critically-acclaimed Space is Only Noise. In 2012, he was contributed to BBC Radio 1's prestigious ‘Essential Mix’ series, winning ‘Essential Mix of the Year’. 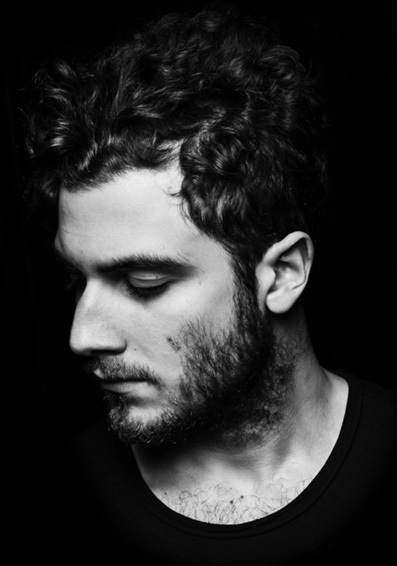 In 2013, Matador released the debut album from Darkside, Jaar’s project with his friend Dave Harrington. The band toured the record with a giant, rotating circular mirror, with key performances at Primavera Sound and Coachella. Other notable projects by Jaar include From Scratch, a live concept first developed for MOMA PS1, Pomegranates, an ambient record and alternate soundtrack to the Armenian film The Colour of Pomegranates, and the original soundtrack for Dheepan, a thriller by the French filmmaker Jacque Audiard about a family of Sri Lankan refugees living in the suburbs of Paris. Dheepan won the Palme D’Or at Cannes in 2015. Jaar is the founder of the New York based imprint Other People, releasing music and spoken word by a diverse group of artists ranging from Lydia lunch to Ezekiel Honig.